The Upper Kent is the top flat of our duplex we call the Kent Home. 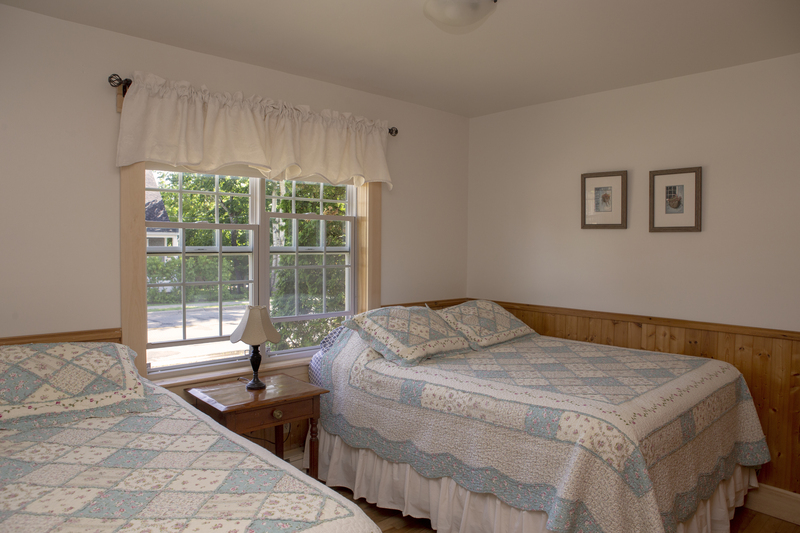 It and the Lower Kent are our largest two-bedroom units. 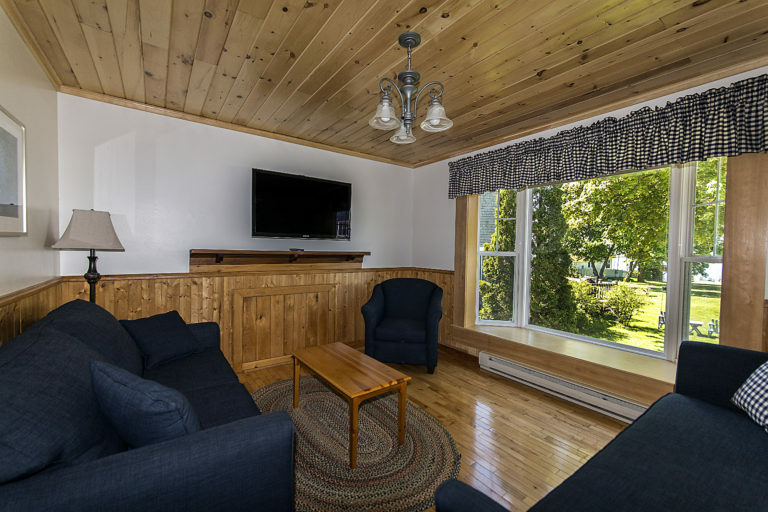 The Upper Kent has a queen in one bedroom, queen and single in a second, pullout couch and daybed (single) in the livingroom. 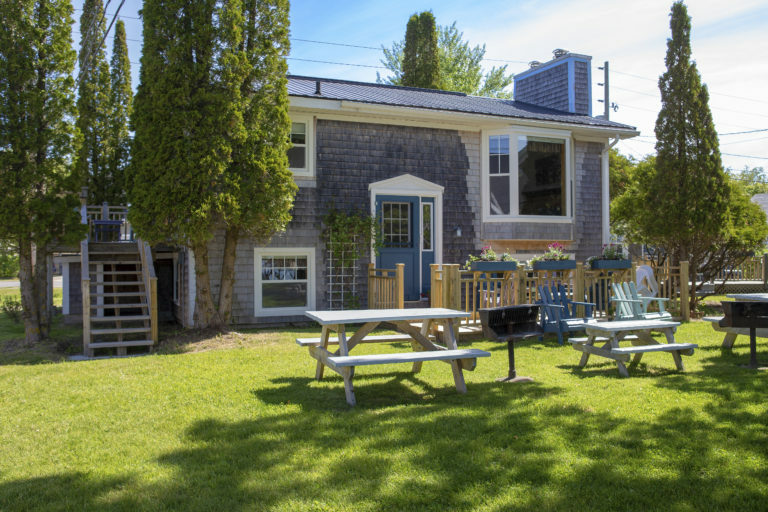 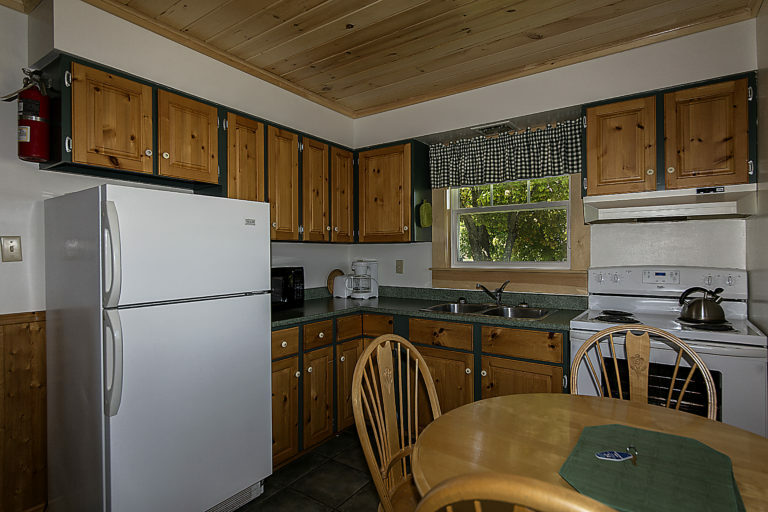 Well equipped kitchen with full-sized appliances and microwave; small outside deck. 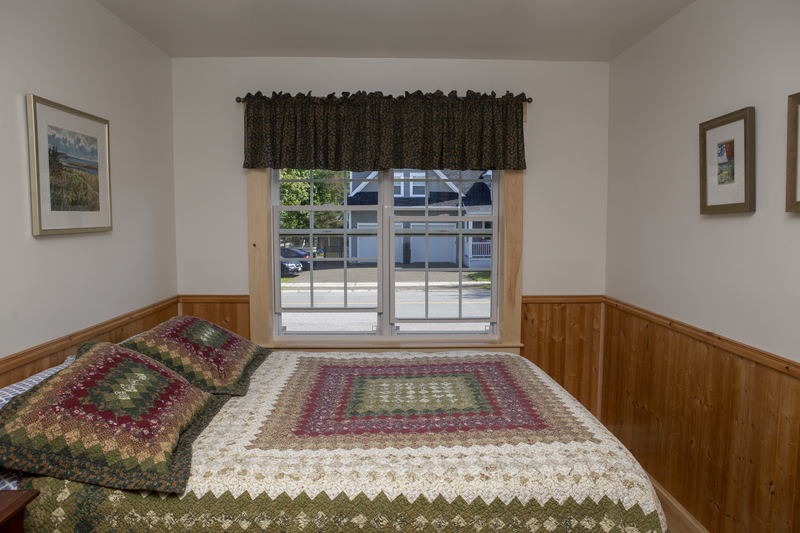 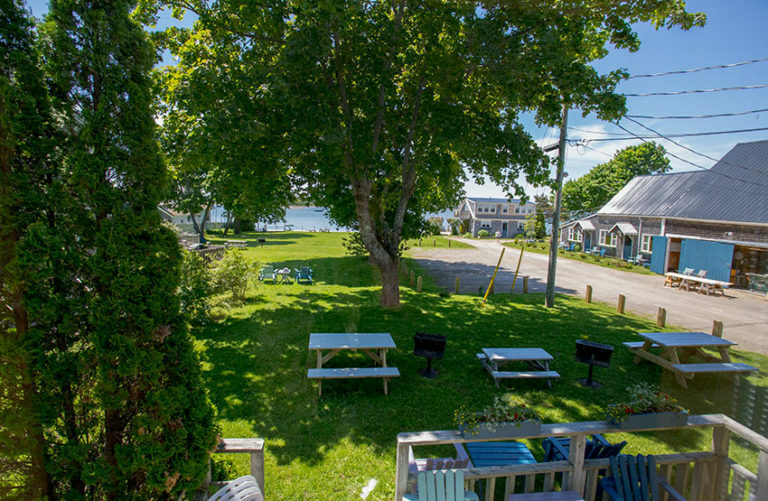 Though located next to Water Street the apartment has a large bay window which overlooks the lawn to the water.